Mauritius 25 Rúpia bankfriss papírpénz. 1967-es nagy alakú kiadás, már nincs forgalomban. Save The Dodo! A super cute and colourful iron on patch to wear on your sweater, rucksack, hat or wherever you'd like it. Ok, so we KNOW that the Dodo is long gone *sniff* but wouldn't it be AMAZING if a couple just waddled out of the woods in Mauritius??? Here's some awesome DODO facts for you! - Dodo's were about 1 metre (3 ft 3 in) tall. Now that's a BIG pigeon. - We still don't know exactly what Dodos looked like, it's all been pieced together from remains, explorer's accounts and paintings. It wasn't until 2007 that a complete skeleton was discovered in a cave. At one point they were even believed to have been a mythical bird. 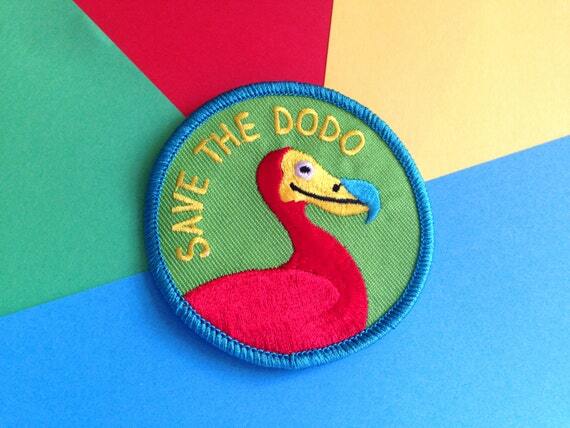 The Dodo on this patch is our wonderful hello DODO mascot. The patch measures 7cm (2.75") and can be either ironed or sewn on to garment. - Iron over the patch for 30 seconds and then turn it over and iron the other side for a following 30 seconds. Please note: Denim and strong cottons work best. We recommend also sewing for a stronger fix. Each patch will be sealed in a retro sweetie bag and shipped in a reinforced envelope, first class for UK and regular Airmail for Europe/International. Colours may differ slightly from the photographs (but not much). Den Dodo gab es aber ausschließlich auf Mauritius, nicht in La Reunion! The post Namibian regulators want to create an international financial services centre appeared first on Accounting Weekly. In Berlin kosten Mietwohnungen heute doppelt so viel wie vor zehn Jahren. Einige möchten deshalb die Häuser den Vermietern wegnehmen. Darf man das?